To celebrate the sherry influence found throughout the distillery's single pot still irish whiskies, Redbreast has introduced a permanent new expression; Redbreast Lustau. Finished in first-fill sherry butts, the expression is seasoned with oloroso sherry from Bodegas Lustau in Jerez Spain. Matured initially in a combination of ex-bourbon and ex-oloroso sherry casks, Redbreast Lustau Edition has been finished for one year in prized sherry butts from Bodegas Lustau in Jerez, the sherry capital of the world. The result is a new interpretation of the signature Redbreast character with a distinctive twist; Redbreast Lustau Edition is described as offering a nose of dark fruits, prunes and marzipan, a rich and creamy texture on the palate with iconic Redbreast spices, and a long, sweet finish complemented by notes of Spanish oak and oloroso sherry. 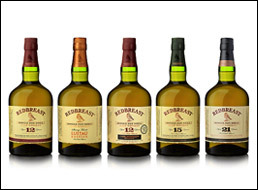 Crafted by Midleton head blender, Billy Leighton, Redbreast Lustau Edition is a permanent addition to the Redbreast range. Bottled at 46% ABV and without chill-filtration, Redbreast Lustau Edition is available from this month at the following RRPs; Canada, $90; France, €65; Ireland, €69; and UK, £55. It will also be available in the US from October 1, 2016 at RRP US$69. Brendan Buckley, global innovation and prestige whisky portfolio director at Irish Distillers, adds: “We are delighted to introduce a fifth, permanent expression to the Redbreast range as it demonstrates the appetite among whisky connoisseurs and spirits afficionados alike for new, innovative and diverse Irish whisky offerings. Since we re-launched the brand in 2011, it has gone from strength to strength and we are committed to spreading word of Redbreast around the world as the Irish whisky renaissance continues.